A stylish pair of men’s oxford shoes are the perfect accompaniment to formalwear, while a contemporary design makes them just as well-suited to semi-formal or casual attire. There are few shoe designs which rival the timeless elegance of an Oxford. The addition of a capped toe to this versatile style accentuates the entire design, adding an extra touch of luxury. Yet the style of these shoes from Dexter remains simplistic enough for them to match almost any attire. If you need a good-looking pair of men’s dress shoes which are rugged enough to withstand daily use without causing any discomfort, look no further than the Dexter Men’s Archer Captoe Oxford. 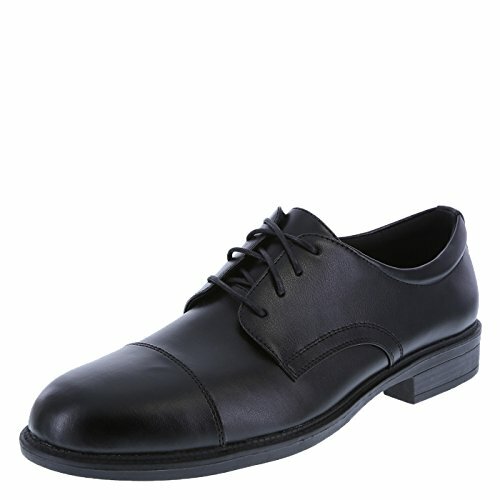 These extremely lightweight shoes are perfect for use at the office or a formal event. Carrying a minimalistic, timeless oxford design, these dress shoes from Dexter offer value which far exceeds their price. Here we’ll be taking you through a comprehensive look at these excellent Oxfords. From the onset one can clearly see the sturdy, rugged composition of the Dexter Men’s Archer Captoe Oxfords. 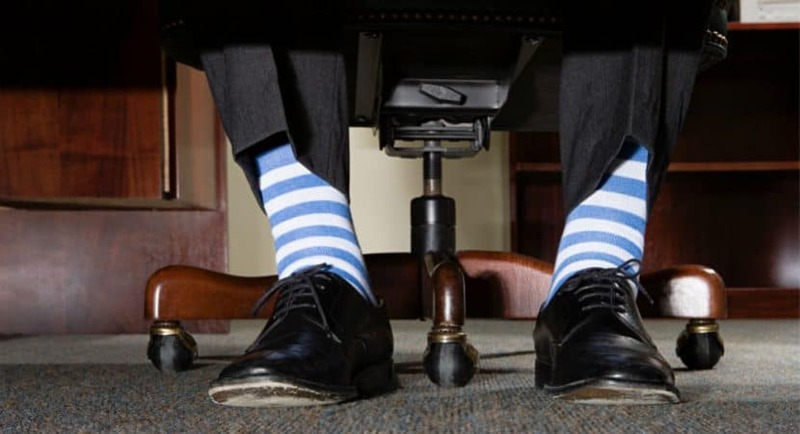 While sizing runs roughly one size too large, each pair of shoes gives a comfortable fit with just enough firmness to never cause discomfort, but not enough leeway to allow for the slippage of your foot. There is enough room at your toes for a secure fit. They remain extremely comfortable even after wearing them throughout a busy day, making them a preferred stylish office or work shoe. Dexter have used a combination of leather and synthetic leather to put together this outstanding Oxford. The inside is lined with genuine leather and the insole is padded throughout. A leather-lined innersole prevents any movement of your foot within the shoe. The soles carry a great slip-resistant tread but are thinner than most would hope for. Nevertheless, they will still give you good service for an extended period of time before they wear down. For their price, one cannot fault this minor caveat. They are cheap enough to replace with another pair should they eventually wear down. A capped toe gives good longevity. Each shoe is stitched from multiple sections of synthetic leather which is preferable to a whole-cut shoe. Prominent creasing is less likely to occur thanks to the stitching and toe capping. Tension and pressure is dispersed quite evenly throughout the surface of the shoe, while the broader-than-normal fit stops your foot from pressing against the synthetic leather composition. This is a key cause of cracking and creasing for most wearers and a problem which you are not likely to encounter when wearing these dependable dress shoes from Dexter. Breathability of the Dexter Men’s Archer Captoe Oxfords could be slightly better; however, this is a minor complaint. This feature could be improved but they do offer decent airflow and you won’t experience excessive sweating. A hollow heel is supplied which makes the design fairly lightweight. Despite being hollow, the sole does sport good overall slip resistance and the rugged quality ensures that they can be worn during any weather. The leather used in this shoe has been molded to a broad design. These shoes are thick and the upper gives good support. There is virtually no break-in period and the memory foam insole is comfortable from when you first put them on. It adjusts to the form of your foot within a short period of use. Due to the rigid design, these shoes barely bend while walking, a feature which translates to long-lasting comfort and ankle support. Lacing up the Dexter Men’s Archer Captoe Oxford reveals good quality grommets which will not easily degrade. The tongue is also form-fitting which guarantees that squeaking will not occur, as well as preventing injury. Your heel slips into the shoe effortlessly, while removing the shoes causes no strain to the heel. The laces themselves are fairly standard; however, they do suit the style of these dress shoes well. Despite not having an embellished, brogued, or highly glossy appearance, the Dexter Men’s Archer Captoe Oxford is still one of the most versatile pairs of dress shoes available. Unlike many other competing Oxfords, these shoes from Dexter are minimalistic enough in their design style to be worn with a host of different outfits. Dexter’s Oxfords are comparable to high-end shoes from esteemed manufacturers such as Cole Haan and Gifennse but arrive at a far better price. You will find that these shoes from Dexter are far more competitively priced than shoes of a similar style. The combination of quality and high-end aesthetics results in a shoe with an appearance far outshining its price. As mentioned before, the only noticeable compromise made is the thickness of the soles. They are slightly thinner than would be expected, yet at the price, this is more than understandable. As a shoe displaying considerable value for its price, these cap-toe Oxfords from Dexter will stay comfortable through prolonged use; however, their appearance may diminish sooner than top-end brands such as GIFENNSE Men's Formal Lace Up Leather Lined Oxford Dress Shoes . Handcrafted luxury dress shoes can cost upwards of one-hundred dollars, reaching costs up to twice that, while this option from Dexter is just a fraction of that price. This allows for convenient, affordable and easy replacement, should their appearance eventually become too tainted. The Dexter Men’s Archer Captoe Oxford may not be the most high-end dress shoe; however, it comes extremely close to the quality and design of much higher priced options. It will not last as long as orthopedic shoes costing three to four times as much, but it will give many months of comfort without losing its appealing appearance. With a little care, they will last you well, guaranteeing long-term relief and comfort, as well as a near-new shine. They are a top choice for anyone looking for elegant aesthetics in a shoe which will be worn frequently.